The child of two scientists, Greer studied writing with Robert Coover and Edmund White at Brown University, where he was the commencement speaker at his own graduation, where his unrehearsed remarks, critiquing Brown's admissions policies, caused a semi-riot. 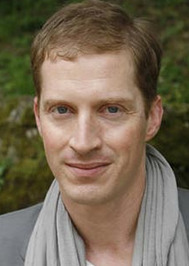 After years in New York working as a chauffeur, theater tech, television extra and unsuccessful writer, he moved to Missoula, Montana, where Andrew Sean Greer (born 1970) is an American novelist and short story writer. Scegliete il libro che vorreste leggere a giugno.